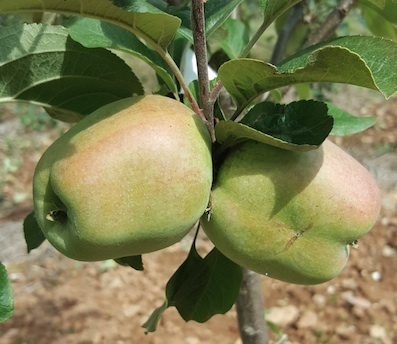 Sherry Surprise - Apple Tree £12.75 - Dual Purpose Apples Apple Trees and Fruit Trees For Sale. Buy at competitive prices with wholesale discounts. 'Sherry Surprise' grows a large apple of somewhat irregular shape, it was developed by Mrs. Sherry of Totnes in Cornwall and she claimes it to be the best she has tasted. It doubles as a great eater and cooker and has good desease resistance.